But a majority are excited by the possibilities of internet-enabled consumer technology, and a “Star Trek future”. 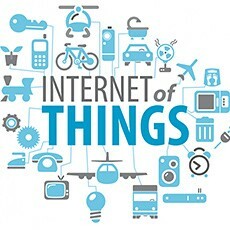 SOASTA, the leader in cloud and mobile testing, today announced the results of its first Internet of Things Survey, which shows that nearly three out of four (73 percent) Americans admit to being unfamiliar with the Internet of Things (IoT), technologies that connect “smart” devices and everyday electronic objects to themselves and the Internet to share information and drive new applications. However, when the technology is explained, an overwhelming majority – 67 percent – say they are excited about the possibilities of IoT coming to consumer technology. Only six percent of Americans say they are very familiar with IoT. Nearly all Americans (77 percent) think that IoT can improve any activity. Almost half of Americans (47 percent) say IoT would help them stay healthy, and 46 percent say it would help them save energy, for example by reducing their carbon footprint. When Americans were asked which SciFi story most accurately reflects the promise of the next wave of technology, including IoT and cloud computing, the respondents’ overwhelming favorite was Star Trek (12 percent), followed by The Jetsons (9 percent).